I think we can expect great things from Mr. Sloan.An excellent novella. I wonder if we'll see more of Annabel Scheme. 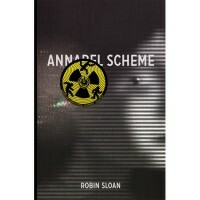 With the success of "Mr. Penumbra's 24-Hour Bookstore" Mr. Sloan should have some 'freedom' to do what he wants, and I hope he wants to do more like "Annabel Scheme".